For the last few decades, at-home pregnancy tests have revolutionized the way women experience one of the most important moments of their lives. Still, this single-use plastic product comes at an environmental cost with thousands of pregnancy tests finding their way to landfills. One company has created a win-win solution for women and the environment. After years of research, Lia Diagnostics has designed a pregnancy test that's not only plastic free but also made out of sustainable materials. The women behind this innovation focused on improving the outdated experience since it can obviously be a sensitive moment for anyone. By creating a biodegradable item, the product helps keep a woman’s reproductive health private while minimizing plastic in landfills. Don't be afraid to stand out from the crowd. This new test works like other at-home pregnancy tests which measure a woman’s fertility hormone levels to determine whether or not she is pregnant. Once used, the test will indicate the results in the same manner as many other over-the-counter tests. One line means a woman isn't pregnant, while two lines indicate a baby is on the way. 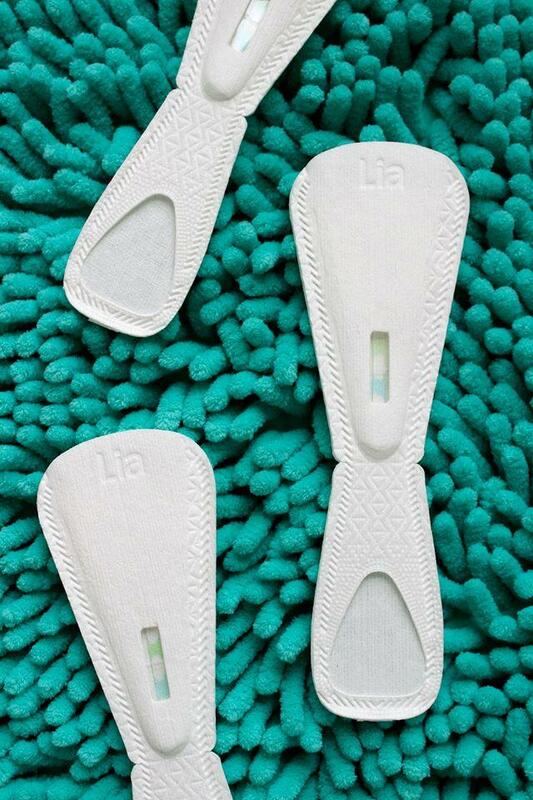 Like other at-home pregnancy tests, Lia is also over 99 percent accurate. That’s where the similarities end. This is the first pregnancy test that someone can flush. Lia claims their product is safe for most standard flow plumbing, as well as septic systems because it is made from the same natural plant fibers as toilet paper. Lately, the product description “flushable” has gotten several companies, especially baby wipe manufacturers, into hot water. Many sewer systems can’t handle thick paper items, but Lia asserts that their product is, in fact, safe to flush and spends considerable time educating its customers on how to dispose of the test in a way that is not only safe for the environment but also their plumbing. The special coating built into the test repels water long enough to take the test, but the whole item completely dissolves once it’s put in wastewater. For older homes or buildings with more sensitive plumbing systems, the company recommends tearing the test into smaller pieces and letting it dissolve in the wastewater for a couple of minutes before flushing to give the biodegradable properties a quick head start to break down. For those who aren’t quite sure if their plumbing system is up for it, the Lia pregnancy test strip can also be disposed of via compost and is 98.2 percent biodegradable in soil after three months. The company has tested the items biodegradability using the ISO 16929 Municipal Composting Study standards. Like anything else, it’s always a good idea to check local municipal rules and restrictions before tossing anything in a compost bin. The company discreetly packages their pregnancy tests in sustainably sourced card stock but they are also working on creating an entirely biodegradable package to offer a fully sustainable approach. While it may not be perfect right now, this innovation may encourage more eco-conscious changes within the health industry. These tests are made in the USA and will be available for purchase soon. Last time we checked, your privacy doesn’t belong in the trash. Last time we checked, your privacy doesn’t belong in the trash. With Lia, you can protect your moment and protect the earth. Coming soon!